A full 24 team event down at the Estevan Power Dodge Curling Centre for this years Mixed Provincial Championship. With many former champions and familiar faces around the Saskatchewan curling scene hitting the ice on Thursday morning! As playoffs came around, it was the 2014 Mixed Provincial Champions in Shaun Meachem & Kelly Schafer teamming up with 2015 Mixed Provincial Champions Chris & Teejay Haichert making a run to win yet another provincial title. They first came up against the Justin Heather rink out of Saskatoon in the semi-final, where Meachem got out to an early 4-0 lead and not looking back taking the eventual 6-2 victory. 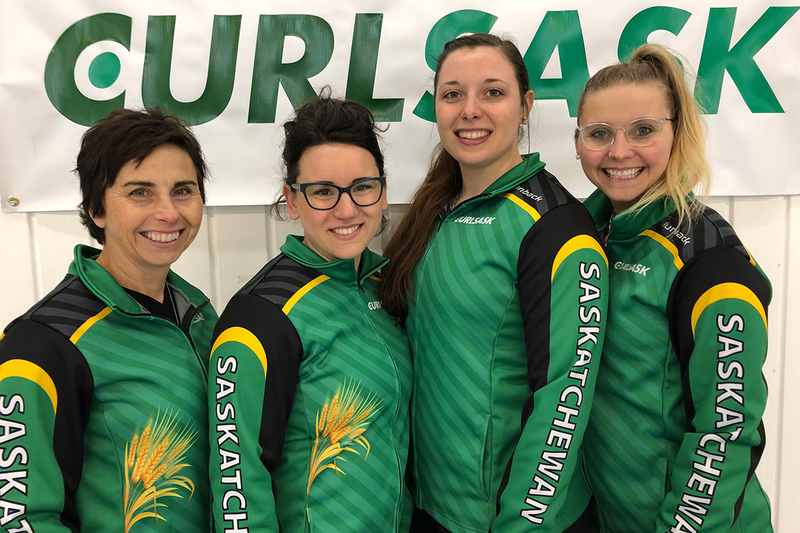 In the other semi-final, it was Tyler Hartung skipping teammate Jayden Shwaga & 2019 Scotties Tournament of Hearts bronze medalists Robyn Silvernagle & Kara Thevenot to a win over defending champions Team Jason Ackerman of Regina, 4-3 after eight ends. Sunday evenings final got off to a great start, with both teams trading deuces early on. But the result of four straight stolen points for Meachem & team that made it the 7-2 final and another provincial championship! 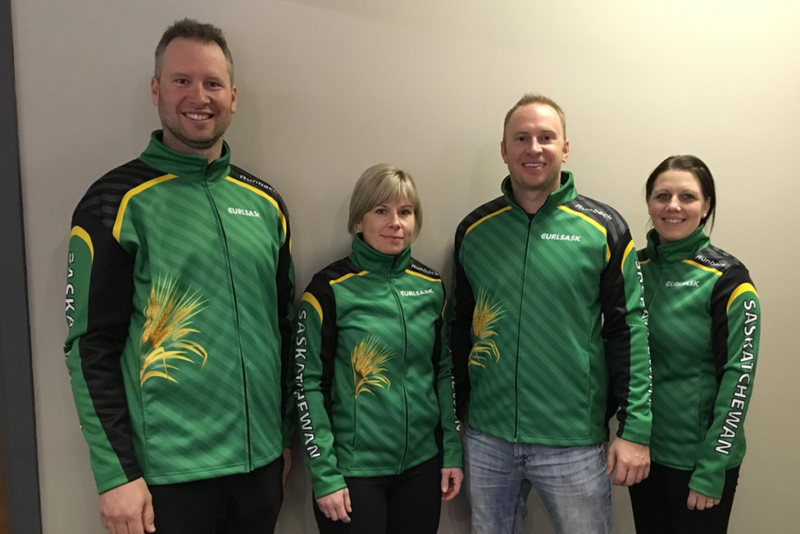 Congratulations Team Meachem who will represent Saskatchewan at the 2019 Canadian Mixed Championship in November! What a run it has been for Weyburn’s Danette Tracey this season, both as a coach & player in a variety of Saskatchewan Provincial Championships! As a coach, she teammed up with U18 & Junior competitors Team Emily Haupstein also out of the Weyburn Curling Club. Where she coached these amazing ladies to a Junior semi-final appearance. And recently claiming the U-18 Provincial Championship where the team is now representing Saskatchewan at the U-18 Canadian Girls Championship in Sherwood Park, Alberta! A week to remember in Melfort for Team Tracey, as they went undefeated all week en route to the 5-3 win over former champion Samantha Yachiw of the Saskatoon Sutherland Curling Club. As a skip, this will be her third Curling Club Provincial Championship (2012 & 2016), but her first with this foursome of Jade, Shelby & Calli! Congratulations to these four ladies as they will now represent Saskatchewan at the 2019 Curling Club Canadian Championships coming up next season in November! 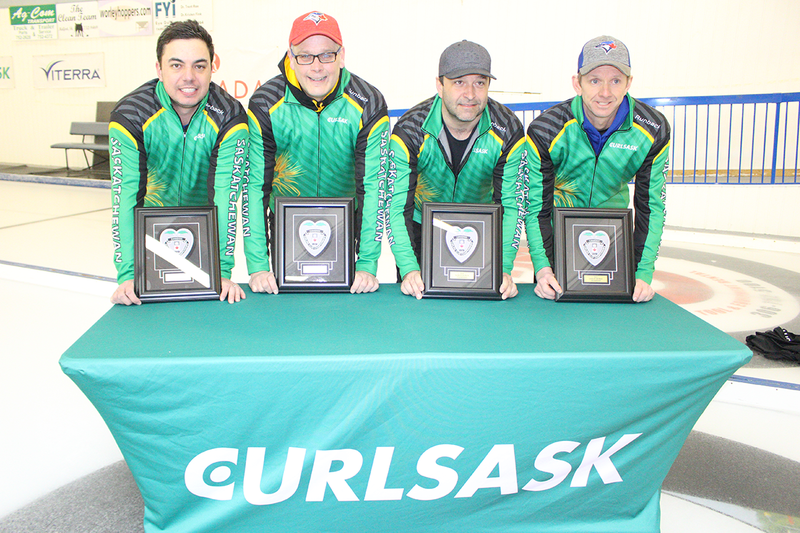 An exciting & rewarding weekend for Team Aaron Gaudreau out of the Humboldt Curling Club at this years event, where they claimed their first set of green jackets! Aaron along with teammates Jason, Tom & Joel earned themselves a semi-final spot after their successful round robin play finishing with a 4-1 record! After an extra end thriller against Team Brendan Ross out of the Saskatoon Nutana Curling Club, Gaudreau came up against the local Melfort team in Todd Desaulniers. Desaulniers had a bit of a long route into the final, where they first had to play two tiebreaker games before their semi-final matchup, where they were victorious over the yet undefeated Team Dean Grindheim. Fatigue may have played a factor for Desaulniers, but they still put up a good battle against Gaudreau. Gaudreau took advantage of when they had the hammer the most, scoring three deuces leading to their 7-3 provincial win! Congratulations gentlemen on a great week, and good luck next season as you represent the green & white at the 2019 Curling Club Canadian Championships!